3.Initiate a Recharge of Rs 20 Or More. 6.Complete the payment with suitable payment option. 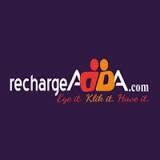 7.You will get 10 Cashback on RechargeAdda wallet within 24 hours. 3.Cashback will credit within 24 hours after successful Recharge.